Westland Lynx HAS 3 ICE XZ246 (434/EE) is one of a number of helicopters, which have served on board Antarctic survey and ice patrol vessel HMS Endurance, in particularly challenging conditions. 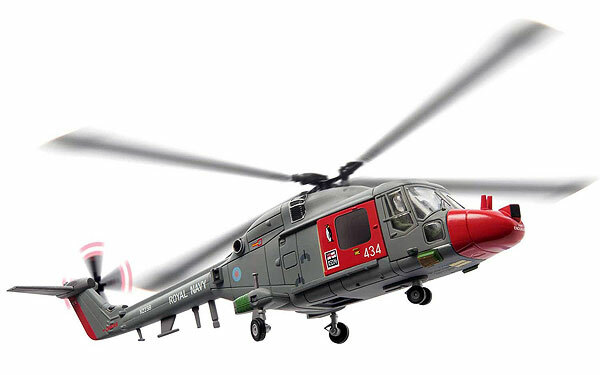 For this specific role, some of the equipment usually found on Royal Navy Lynx aircraft was removed, but the reliable Lynx proved to be essential in the effective polar operations of Endurance. Two ice modified Lynx aircraft were usually carried on board HMS Endurance, at any one time.